I’d wanted to do a Wonder Woman manicure, but I was just too tired and stressed to want to muck about with that much striping tape. So I went back to my list of alternatives for ‘W’ and decided to do whales. 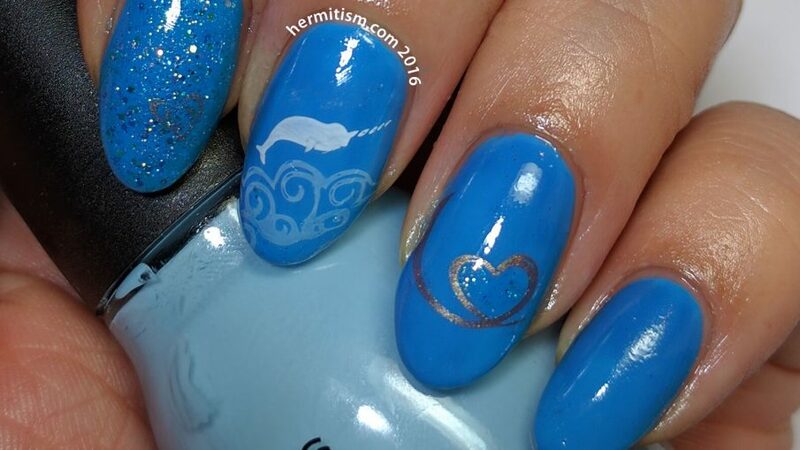 Because whales are love and there is not enough love in the world. 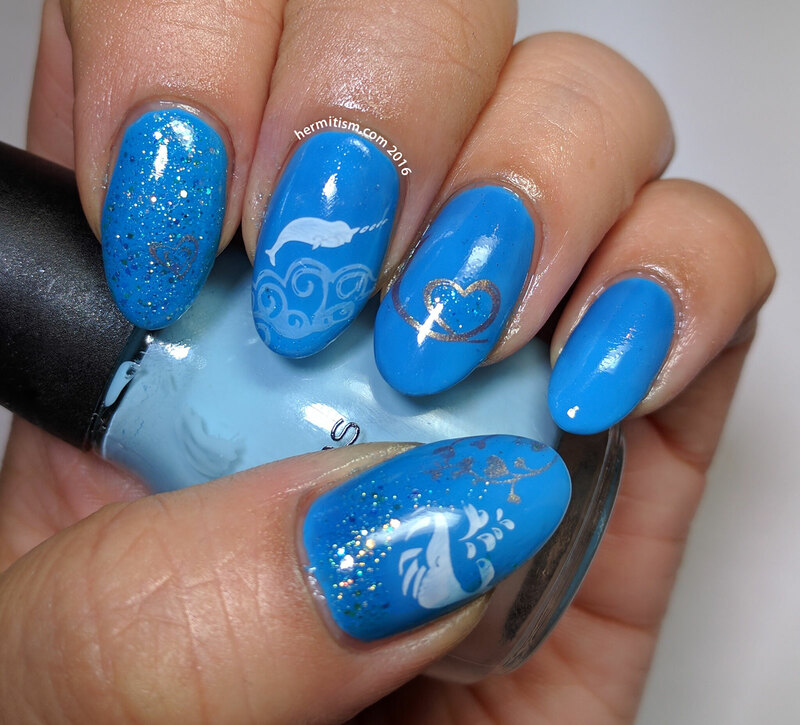 I mostly kept it simple with single base color and a mixture of glitter top coat and a Frankensteined dark blue jelly then added stamps on top. Easy peasy.